Tonight, the New England Revolution head to Los Angeles for the first time this season to take on the new expansion team the Los Angeles Football Club. Sitting in third place in the Western Conference, LA has been on a strong run of form as of late, winning three of their last four, and drawing the other game. 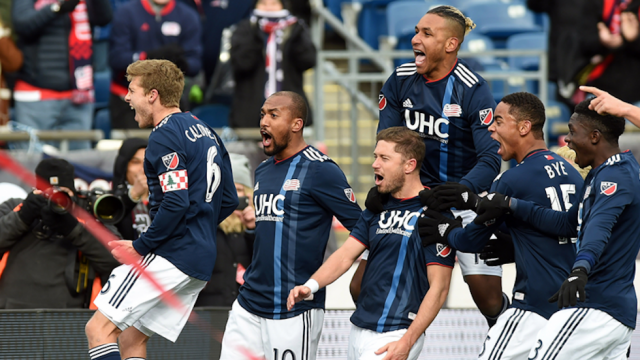 While the New England Revolution are coming off their first win in two months, they will look to get a second to continue their playoff hopes. Recent addition Michael Mancienne talked about the importance of keeping the momentum going. With a game in hand on the Montreal Impact, the Revolution will treat this as a must win that will put them on level points with the Impact in the Eastern Conference. Should the Revs be able to catch a good run of form, they could make a strong run for a playoff spot. Head coach Brad Friedel took up a defensive strategy for the Revolution in their last match against New York City FC, giving up possession and waiting for the counterattack to take their chance, and it worked. LAFC will be a similar challenge for the Revs, and it wouldn’t be much of a surprise if Friedel played the same defensive tactics Saturday night. LAFC has the second highest goal difference in the Western Conference, scoring a total of 54 goals and conceding 42 this season. New England has a very low goal-scoring record, finding the back of the net only 40 times this season, while also conceding 42 on the year. Revolution midfielder Kelyn Rowe spoke about facing LAFC’s midfield this weekend. “LAFC is a very good team going forward. You’ve seen it week in, week out. It’s not like they were surprised when that happened,” Rowe said. But I think we can counter on them and we can get them—if we win that midfield battle, like you said, with guys like [Benny] Feilhaber and Lee Nguyen—if we win that battle, I think we can really open them up”. The Revolution have a strong challenge ahead of them, but should their defensive, counter-attacking strategy work again, they just might have a chance to grab a victory Saturday night.